Doctors Online Services, Doctline, chose graphic design crowdsourcing platform Designhill to launch a logo design contest. The contest was met with timely response from the designer fraternity showing their enthusiasm and professionalism in creating of logo to win the contest. 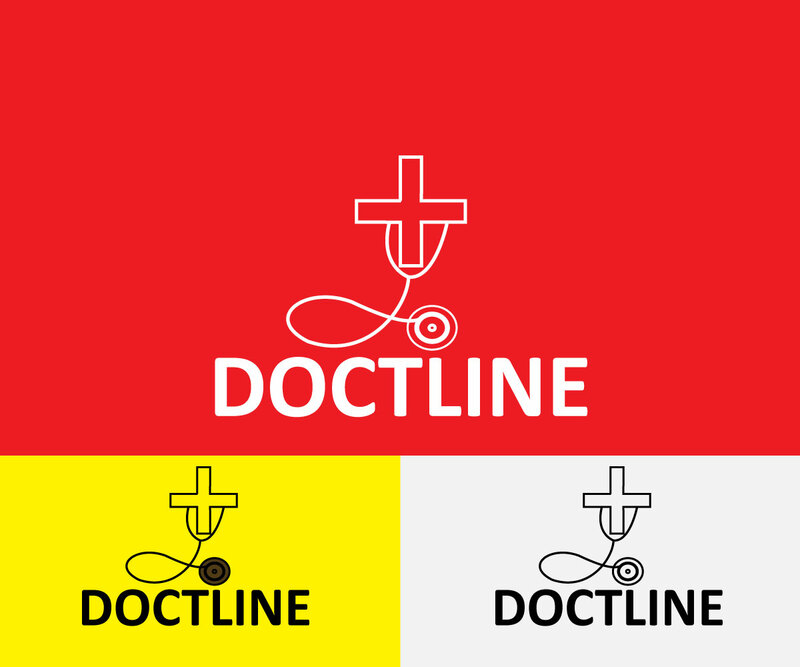 The Doctline selected a logo that it thought was suitable to represent its business on the web. The winner Luise received the prize money $359 for the logo design. The winning entry is an example of how simple logo design is what clients mostly require. The logo is as per the design brief. The client in the design brief had asked the designers to incorporate a plus symbol and stethoscope and color for the plus sign must be white. The client’s business is to provide a doctor and make your appointment online. The service is available for Centro, Mexico and neighboring states. The client gave preference to red, green and white as colors for the logo. The winning logo design incorporates a plus sign and stethoscope curling around the sign in the way doctors use it. The company name Doctline finds place underneath the sign and stethoscope. Overall, it is a simple design that is capable of attracting the targeted audience and sends the business message instantly about what the company does. The logo design contest owner received overall 83 design entries from 20 designers from across the world. Such response from the designers means the client received many concepts within a set affordable prize declared for the winner. The client was in touch with the designers throughout the contest period and offered timely feedback. Previous Previous post: What are Different Meaning of Logo Design Colors?